We have recently made improvements to the Canberra Museum and Gallery website which we hope make it easier for you to use. Not only will you now find the information you are looking for more readily but you will also find deeper insights into our exhibitions, programs and collections at your fingertips. This refreshed website not only includes thorough coverage of CMAG’s onsite and outreach programs but also extends into online experiences. You will discover that these online offers are authentic and enriching in their own right. To enhance access we have updated the look and feel of the site. We have introduced a more intuitive navigation system where fewer clicks will take you to better structured and searchable information. The resources will also be more frequently updated. Soon the site will include information about all of CMAG's past exhibitions. We have also given a more balanced presentation to our resources including exhibitions, collection, learning opportunities and venues. We have paid more attention to our signposting for new visitors who will now be able to more easily find us in Canberra City and to connect with us online. One of the additional online experiences that I am particularly excited about is the first stage of access to the CMAG social history and visual art collection. So far we have placed only about 4% of the 6000 plus objects in our collection online but I am sure the rich detail they provide will whet your appetite for more. We have received great support from local CBR design agency Icelab and NZ-based collection management software firm Vernon/eHive to realise this collection platform. 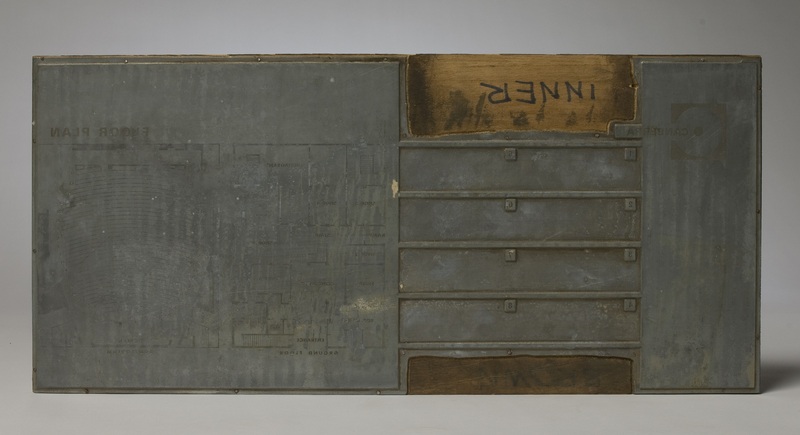 One of my favourite pieces from our collection is a printing block from Canberra's former Center Cinema. I love to let my eye pick over its subtle surface markings as an obscured theatre plan slowly comes into view. It reminds me of the times I arrived late to a screening. As the trailers rolled, I peered into the darkness. How many of us recall this experience as we tried to glean the faces of family and friends in this cinema long ago? The project of bringing our entire collection online is ongoing. CMAG is a small and modestly-provisioned institution, so we are actively seeking partners to fast-track this project. The cost of fine-tuning object information, photography and posting an object online comes to around $150 for each object we post. Any individual or business with a particular interest in Canberra's social history or visual arts could choose to sponsor an object, or even a collection of objects, to be made accessible online. And I would be delighted to credit your support in information we post online about the object. There are 18 more items in our Center Cinema Collection that I would love to see opened up to our online community. Now there’s an opportunity!